Review Of Manmadhan Ambu: Great To Watch During Christmas Weekend! 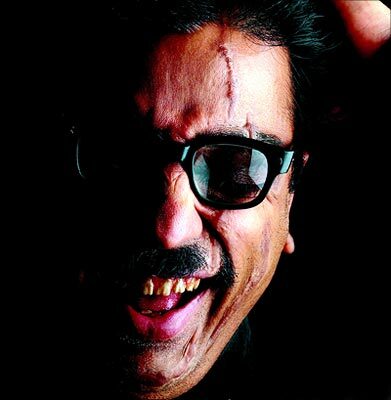 Manmadhan Ambu is yet another deadly combination of superstar Kamal Haasan and director K. S. Ravikumar. The duo has always given some big hits to the industry and this is going to be one more addition to that list. The film also stars talented actors like Madhavan, Ramesh Arvind, Trisha, Sangeetha and Urvashi in important roles. Trisha is first time seen with Kamal and Madhavan is also uniting with the veteran after their critically acclaimed film Anbe Sivam in 2003. Madhavan and Kamal has once again proved their chemistry and acting capabilities individually. Kamal Haasan was obstinate over not succumbing to the protests of Hindu Makkal Katchi that insisted him to delete the song ‘Kannodu’ (Kamal Kavidhai’ from his upcoming release Manmadhan Ambu. The actor justified that there is no need to delete the song as it doesn’t carry any such factors hurting the feelings of Hindu community. Kamal Haasan: Can Somebody Guarantee Him A Pension Post Retirement? Kamal Haasan is an actor par excellence. But a recent interview with the South Indian star assures us that he has a head for business too! In a statement to the media, Kamal Haasan voices his concerns for the entertainment industry in India, saying that it was high time that the government of the country sit up and take notice of the taxes and the laws governing the film and television sector in India. South Indian actress Sangeetha Arvind is all geared up for her December release `Manmadhan Ambu'. And the reason why she is so excited these days is the fact that she has shared screen space with veteran actor Kamal Haasan for the first time in her film career. Recalling the moment when she was first approached by Kamal Haasan's office for the role in the romantic comedy, Sangeetha says that she was so excited about working with her favorite actor that she was even prepared to sign on the dotted line even if it was a single scene in `Manmadhan Ambu'! At 50, Kamal Haasan Still Loves To Romance! Kamal Haasan has crossed the prime years of his life but he is definitely not prepared to lie low, nor are the producers prepared to let him go, considering that Kamal Haasan is still cast in lead roles in many films down south. Ask the actor whether he still enjoys romancing a young girl when he is above 50 years of age, and prompt comes the positive reply that he still loves to love and is still capable of loving. However, the actor also makes it clear that the roles offered to him do not portray him as the out-of-college guy that he previously played in a number of films in his career. Kamal Haasan and Rajnikanth are two of the stalwarts of the South Indian film industry and the audience loves to see these maestros onscreen. Kamal Haasan’s next film ‘Manmadhan Ambu’ is going to be release by the end of this year and already it is hogging the limelight for its uniqueness. KS Ravikumar is very excited about this new movie and he promises a once-in-lifetime experience to the audience. Launching albums in foreign lands have become the latest trends of the Tamil film industry. It all started with Gowtham Menon’s 'Vinnaithaandi Varuvaaya' that had its music released in London. The film gained international recognition with such publicity. Witnessing such attributes, the other producers decided to release their film’s music in other regions as well. Mollywood must be ready to welcome a big film in the coming days, as Malayalam superstar Mohanlal is reportedly going to do a join venture with another superstar Kamal Haasan. The project will be directed by Kamal Haasan. K. Balachandar is always remembered for his colossal contributions to the Tamil film industry. But what makes him more dignified is of introducing the greatest living legends of Indian film industry - Superstar Rajnikanth and Padmashree Kamal Haasan. The filmmaker was invited to take part on the occasion of honoring Kamal Haasan for his 50 years of successful filmdom by Kerala State Government. However the auteur couldn't make his presence felt for the event due to his illness. Mumbai, Aug 16 - First it was mom Sarika whose good friends were used to launch daughter Shruti Haasan's career in Hindi cinema. Now, apparently dad Kamal has taken over the responsibility to put his daughter's career on the right track in Bollywood. Her first first attempt at stardom in "Luck" was a big fiasco. So now "Ghajini" director A. R. Murugadoss has been asked to create an impressive re-launch film for the pretty actress. Perhaps, the biggest star of Indian cinema, Kamal Haasan would soon be making his comeback to the Malaylam movie industry after a hiatus of 23 years. The multitalented actor who was last seen in the Malayalam movie called Chanakyan and Daisy will soon make a comeback for in the movie Four Friends. The movie is being directed by Saji Surendran. The movie featuring the likes of Jayaram, Kunchakko Boban, Jayasuriya, and Meera Jasmine will also have Kamal Haasan in an essential role. The character played by Kamal Hasan, comes at a very crucial point of the film. After spending nearly a month in the World's most luxurious Mediterranean Cruise, the entire team of Manmadhan Ambu has flown back to Chennai. The film that features Kamal Haasan, Madhavan, Trisha, and Sangeetha in lead roles started rolling from June. In order to save time, cost, and energy while shooting, the entire team had rehearsed all the shots before taking off to Venice. Perhaps, it has helped them to complete the first schedule on time and they'll continue the next schedule within next couple of weeks. Meanwhile, Kamal Haasan will complete the post production works prior to commencing the following schedule in Kodaikanal. Is Kamal Haasan eyeing Walt Disney now? Kamal Haasan's insatiable passions for making extraordinary films have been one of his prodigious traits throughout his career. Regrettably, our producers failed to meet his demands of churning out his idealistic flicks at a high cost. Say for instance, his long-dreamt project `Marudhanayagam' couldn't take off precisely due to financial constraints. In all likelihood, his other period film `Marmayogi' stumbled down despondently, which was supposed to be a 125Cr project. Padmashree Kamal Haasan rendered a stunning speech on the occasion of Aadhavan's 100th Day Celebration, which was held last evening at Park Sheraton in Chennai. Marking the grand success of this film, the actor felicitated the entire crew by presenting shields to Surya, Vadivelu, Ramesh Khanna, Manobala, Anand Babu, FEFSI Vijayan, Alex, actresses Saroja Devi, Nayanthara, director K S Ravikumar, producer Udhayanidhi Stalin. The most happening celebrities of South Indian film industry Kamal Haasan, Surya, yesteryear actress Radhika and Ileana inaugurated choreographer Shoby’s IBO Dance School, herein Chennai. Apart from these three big stars, choreographers Sridhar and Raju Sundaram, actor ‘Jeyam’ Ravi, director K.S. Ravikumar and many others were present. Shoby has choreographed for various chartbusters of this season including ‘Aathichudi’ in TN 07 AL 4777, A.R. Rahman’s ‘Taxi Taxi’ in ‘Sakkarakatti’, Vijay’s ‘Vettaikaran’ and more. Multifaceted Tamil superstar Kamal Haasan turned 55. He celebrated his birthday by spending a quiet day with his family. Recently, he also celebrated his 50th year in the film industry. Kamal Haasan started his career as a child artist. He won National Award for acting in 'Kalathur Kannamma', in 1959, hence proving his acting talents in his very first film. Since then, he has worked in 150 films in several languages. He has played several roles in Tamil, Telugu, Kannada and Hindi films. Kamal Haasan Celebrates His 55th Birthday! Ace Tamil superstar Kamal Haasan has celebrated his 55th birth anniversary with his family members on Saturday. The actor, who has completed 50 years in the film industry, started his film career at the age of 5 in a film ‘Kalathur Kanamma’ in 1959. Hassan won his first National Award as a child artist for his exceptional role. Citing the troubles of the Sri Lankan Tamils, the 'Universal Hero', during the last year, requested his buffs to stay off any celebrations on his birth anniversary. Bollywood superstar Shahrukh Khan has added another feather to his cap. The Bollywood Badshah has introduced southern super star Mammootty in the Hindi version of forthcoming movie ‘Pazhassi Raja’. SRK has dubbed the prologue gratis for the movie that will bring the Lion of Kerala alive on screen. Confirming the development, film producer Praveen VC said: "Shah Rukh has done the prologue of the movie for the Hindi version. SRK said he's from a family of freedom fighters and was happy to be associated with a project like this." Here's a breather for versatile actor Kamal Haasan. Madras High Court on Thursday cleared the release of Kamal Haasan's Tamil film 'Unni Poloruvan'. The bilingual film will be releasing on September 18. An entertainment firm named Pyramid Saimira Productions International Ltd. had filed a suit alleging breach of contract. Justice Rajasuriya directed Kamal to pay half the sum of money that he allegedly owes to Pyramid Saimira before 30 September. Talented danseuse and actress Shobana was praised by actor Kamal Haasan recently during the DVD launch of her dance drama Maya Ravan. Kamal, who is currently working on his film, Unnaipol Oruvan, believes the drama has a lot of elements to attract audiences and that it should do really well. He also informed that he is a Ravana fan.